There is a great need for prophetic, public voices of faith today. In the face of deep-rooted structures of oppression, a dysfunctional economy, accelerating environmental crises, and a toxic political climate, the feeling is widely shared that the systems we have are fatally broken and unjust. Faith Matters Network is a womanist led organization focused on personal and social transformation. We support people to sustain themselves, their communities, and social movements from a place of spirit, creativity, and courage. We envision a world of people living in just communities rooted in wisdom, spiritual practices, healing, and courage. 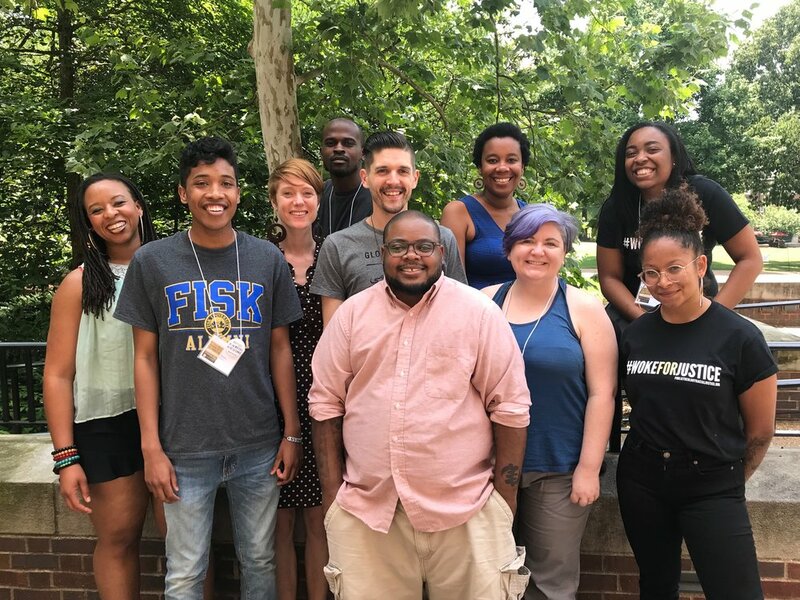 Faith Matters Network catalyzes personal and social change by equipping community organizers, faith leaders, and activists with resources for connection, spiritual sustainability, and accompaniment. Connection: We are all connected to our histories, futures, other people, animals and land. Those connections impact us in a variety of ways and sometimes a vital and well-timed introduction to people, resources and information can change the course of our journey, reshape our theologies and propel work forward. We LOVE connecting wonderful people to one another, and connecting people to resources and information that can make magic happen. Spiritual Sustainability: Faith without works is dead, and the work of changing the world takes spiritual sustenance. By modeling and teaching spiritual community, spiritual practices and resilience building life skills we work to build a world where action and contemplation, joy and struggle, celebration and mourning are embraced as our common human struggle for liberation. Accompaniment: This is perhaps the most sacred element of our work - walking with people as they journey through life and work. By providing opportunities for mentorship, vocation discernment and facilitation, we practice the sacred work of accompaniment. Just as a doula helps a birthing person’s other support people apply pressure to the right area or offer water between contractions, we also train others to accompany one another in birthing the work of social change. The Faith Matters Network is a sponsored project of Fractured Atlas, a non-profit arts service organization. Contributions for the purposes of The Faith Matters Network must be made payable to Fractured Atlas and are tax-deductible to the extent permitted by law.